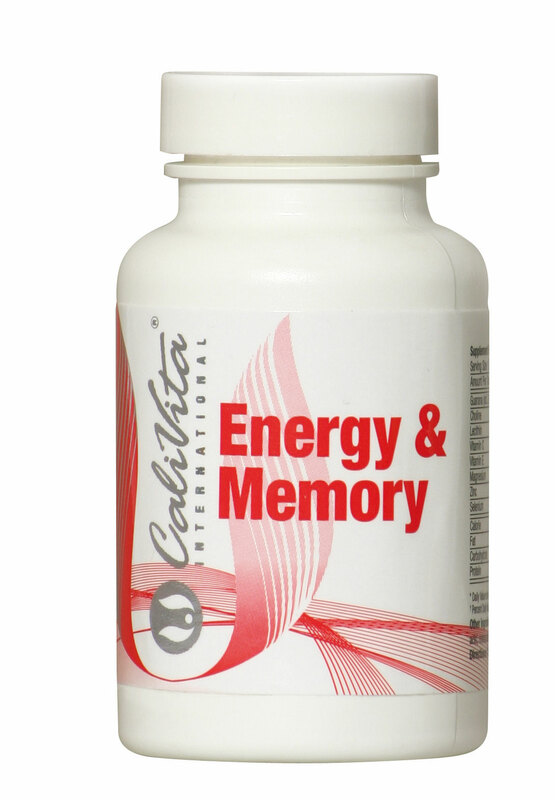 One tablet of Energy & Memory provides as much coffeine as one espresso coffee. Dėl savo sudėties, Energy & Memory dalyvauja įprastų procesų mūsų organizme, netgi tuo atveju ilgalaikius fizinę ar psichinę įtampą. Ji turi palankią įtaką nuo žalingo procesų atsirandančių nuo streso. Tuo pačiu metu jis energizuoja, gaivina jus; galite įveikti kliūtis lengviau! Due to its composition, Energy & Memory participates in the normal processes of our body, even in case of lasting physical or mental stress. It has a supportive effect against the harmful processes resulting from stress. At the same time it energizes, refreshes you; you can overcome obstacles more easily! The South American shrub Guarana is a natural, herbal source of caffeine. Caffeine helps to stimulate the metabolism, thereby assisting in alertness, energy levels, endurance and calorie expenditure. For these reasons, caffeine supplementation is popular with performance athletes. Both substances help support the functioning of nervous system. Choline is a precursor to the neurotransmitter acetylcholine. Research has suggested that mood, memory and cognitive functioning may be partially mediated by acetylcholine metabolism in the brain. As an antioxidant, Vitamin E helps protect polyunsaturated fatty acids against oxidative damage, thereby helping to support normal cell functioning. Vitamin C is an anti-oxidant, helping to mitigate damage to cells caused by free radicals. It also plays a role in the normal functioning of the nervous system, and participates in the formation of connective tissue. Zinc participates in the healthy functioning of immune system. It is indispensable for normal cell division, sexual function, and it supports the healthy structure of epithelial cells throughout the body. Selenium is a powerful anti-oxidant helping to protect cells against damage caused by free radicals. It also plays a role in energy producing processes in the body, supports the normal functioning of immune system, and the thyroid gland. Magnesium provides nutritional support for the balanced functioning of the nervous system, and also helps the normal functioning of muscles. It is indispensable for enzyme activity, and the maintenance of calcium-potassium equilibrium in the body. If you have a cardiovascular condition or disease, or any other type of medical condition, or are taking medication, seek qualified medical advice before using this product. Reduce use of caffeine containing food and drinks while using this product as too much caffeine may cause nervousness, irritability and loss of sleep.